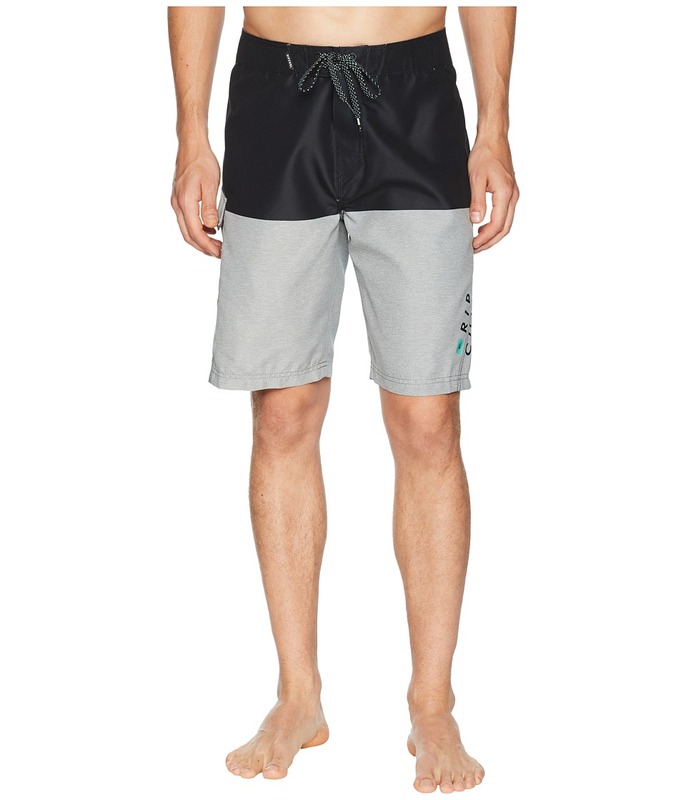 Rock that original surf spirit with the Rip Curl All Time Boardshorts. Soft buttersuede boardshorts feature a stylish sublimation print with contrast waistband. 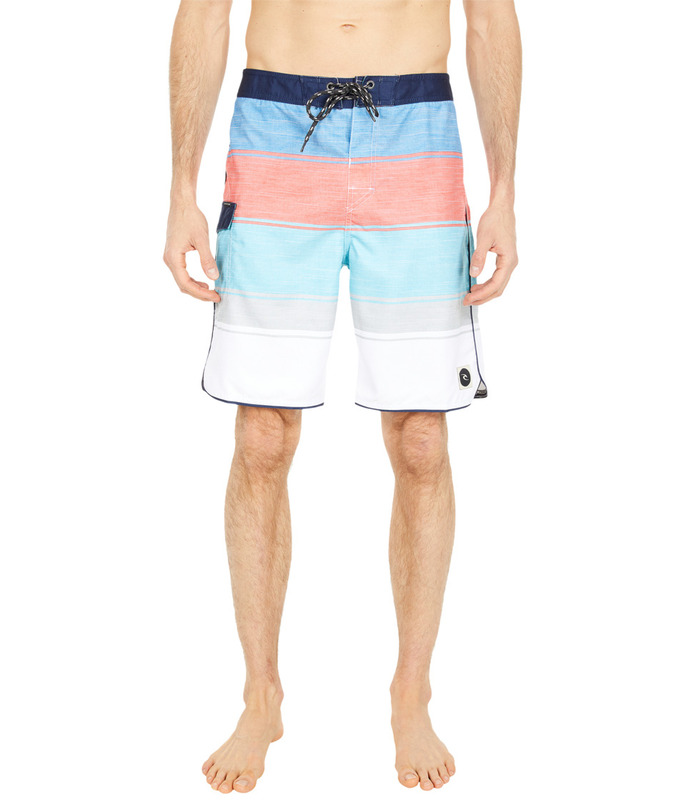 Surf short features variegated stripes for a classic look. 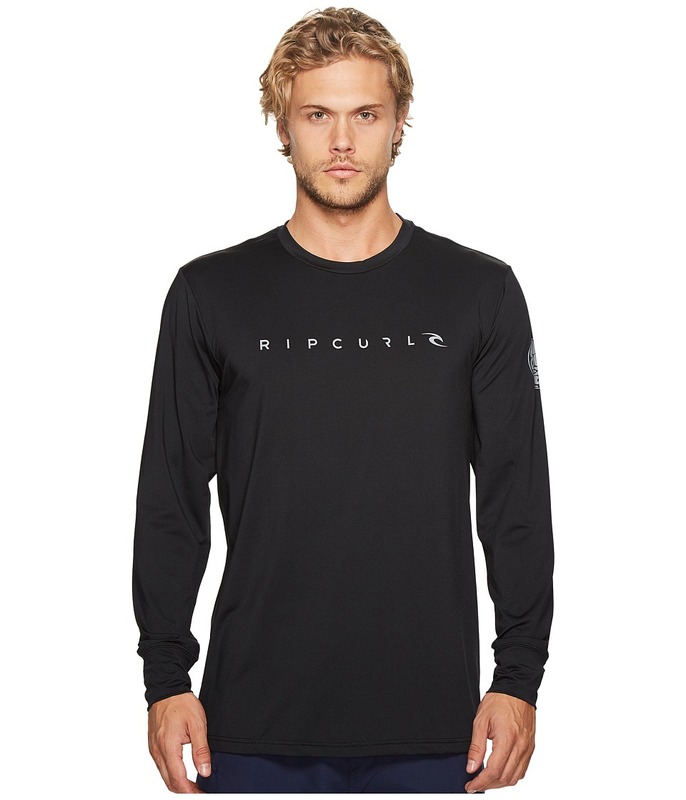 Contrasting accents and Rip Curl logos throughout. Fixed waist with classic surf-tie closure. Pocket on right leg with snap-flap closure. 100 percent polyester. Machine wash cold, hang dry. Imported. Measurements: Waist Measurement: 32 in Outseam: 19 in Inseam: 9 in Front Rise: 12 in Back Rise: 17 in Leg Opening: 22 in Product measurements were taken using size 32. Please note that measurements may vary by size. If you~re not fully satisfied with your purchase, you are welcome to return any unworn and unwashed items with tags intact and original packaging included. The morning dew hasn~t even evaporated yet, and you~re out on the block swaggin~ in this killer Rip Curl Dawn Patrol Boardshort. Soft buttersuede boardshorts feature a stylish sublimation print. Fixed waist with classic surf-tie closure. Right cargo pocket features a hook-and-loop flap closure with drainage grommet, bottle opener, and fin adjuster. Brand logo hits throughout. 100 percent polyester. Machine wash cold, hang dry. Imported. Measurements: Waist Measurement: 32 in Outseam: 22 in Inseam: 10 in Front Rise: 12 in Back Rise: 17 in Leg Opening: 21 in Product measurements were taken using size 32. Please note that measurements may vary by size. If you~re not fully satisfied with your purchase, you are welcome to return any unworn and unwashed items with tags intact and original packaging included. 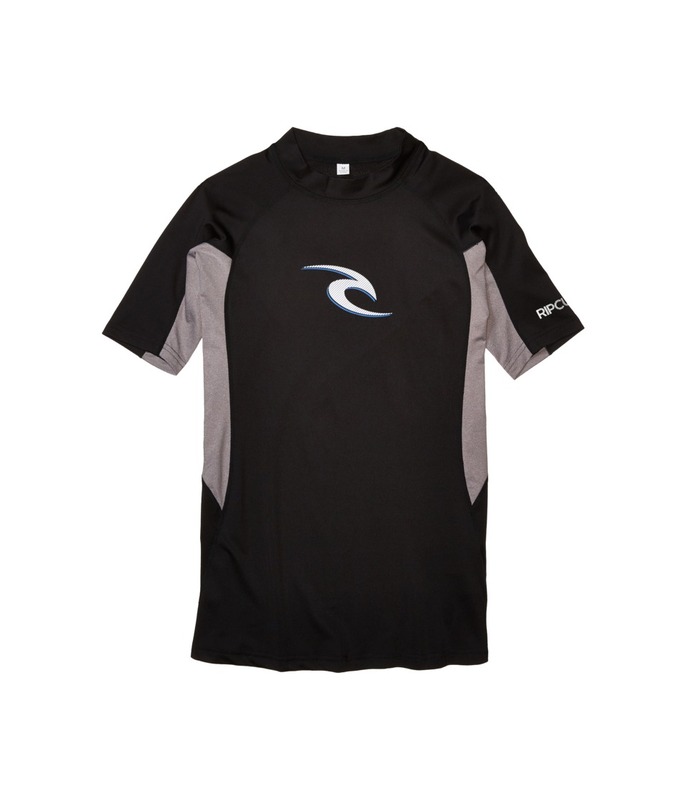 An evening with friends requires this stellar Rip Curl shirt. 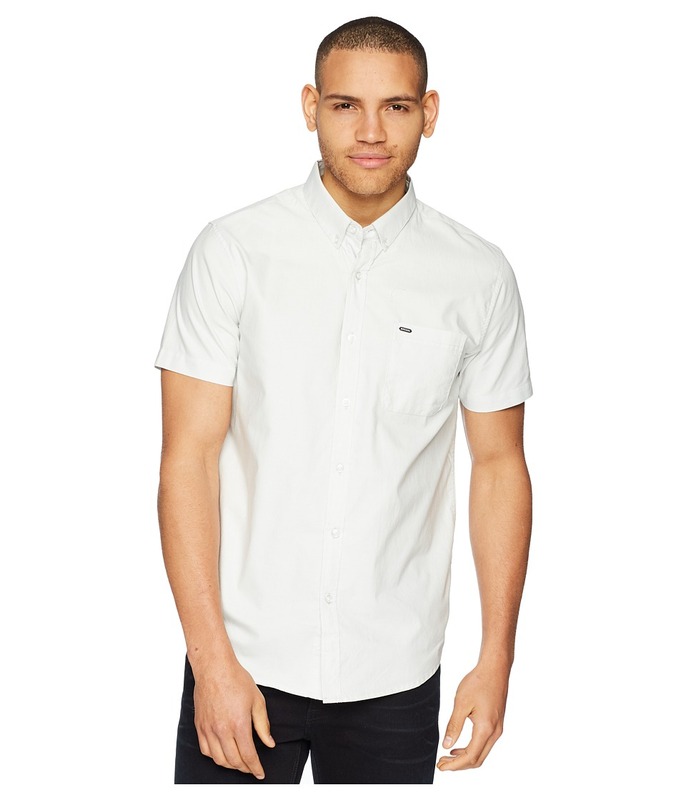 Slim fit shirt offers a tailored look. Stylish chambray fabric boasts a light enzyme wash. Foldover collar. Short sleeves. Button front placket. Patch pocket at left chest with small logo charm. Shirttail hemline. 80 percent cotton, 20 percent polyester. Machine wash cold, tumble dry low. Imported. Measurements: Length: 31 in Chest Measurement: 46 in Product measurements were taken using size MD. Please note that measurements may vary by size. Play in the sun in this Rip Curl Kids All Time Boardshort. Stylish shorts are made with a soft butter suede fabrication in a colorful sublimation print. Fitted waistband with drawstring closure. Right cargo flap pocket with hook-and-loop closure. Patch logo on left hem. 100 percent polyester. Machine wash cold, line dry. Imported. Measurements: Waist Measurement: 24 in Outseam: 15 in Inseam: 7 1 2 in Front Rise: 8 in Back Rise: 11 in Leg Opening: 19 in Product measurements were taken using size 22 (8S Big Kids). Please note that measurements may vary by size. If you~re not fully satisfied with your purchase, you are welcome to return any unworn and unwashed items with tags intact and original packaging included. 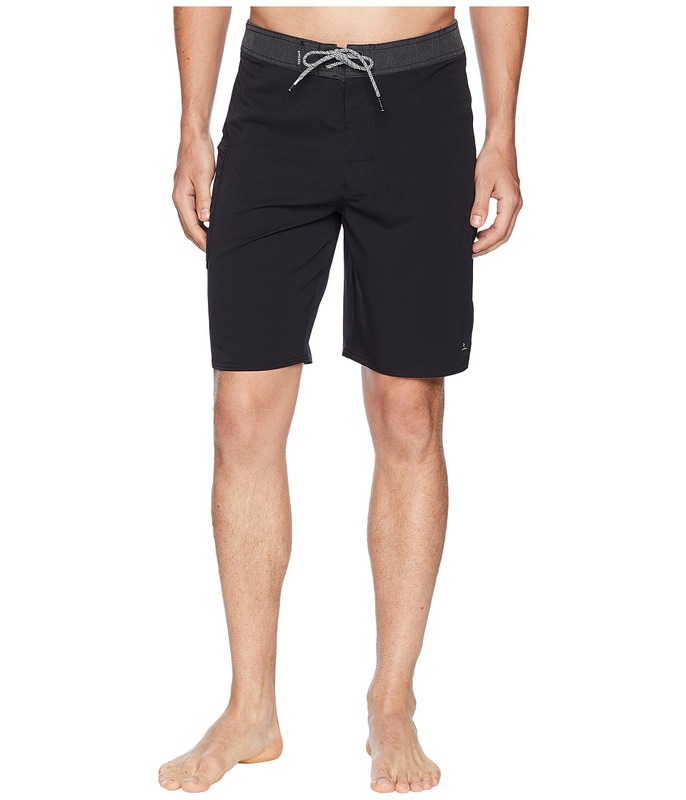 These Rip Curl boardshorts bring the right amount of jaw dropping swagger style to your look. Quadroflex four-way stretch fabric allows for easy movement. 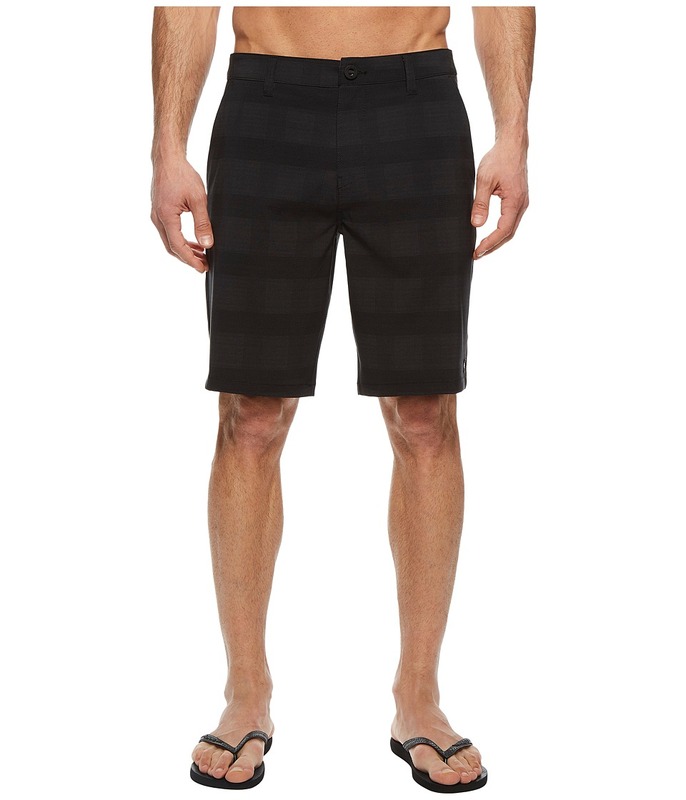 Solid dyed boardshort with diagonal side seams. Fitted waist with surf tie closure. Cargo zip pocket at the right leg. Screened logo hits throughout. 91 percent polyester, 9 percent elastane. Machine wash cold, hang dry. Imported. Measurements: Waist Measurement: 32 in Outseam: 22 in Inseam: 10 in Front Rise: 12 in Back Rise: 17 in Leg Opening: 22 in Product measurements were taken using size 32. Please note that measurements may vary by size. If you~re not fully satisfied with your purchase, you are welcome to return any unworn and unwashed items with tags intact and original packaging included. 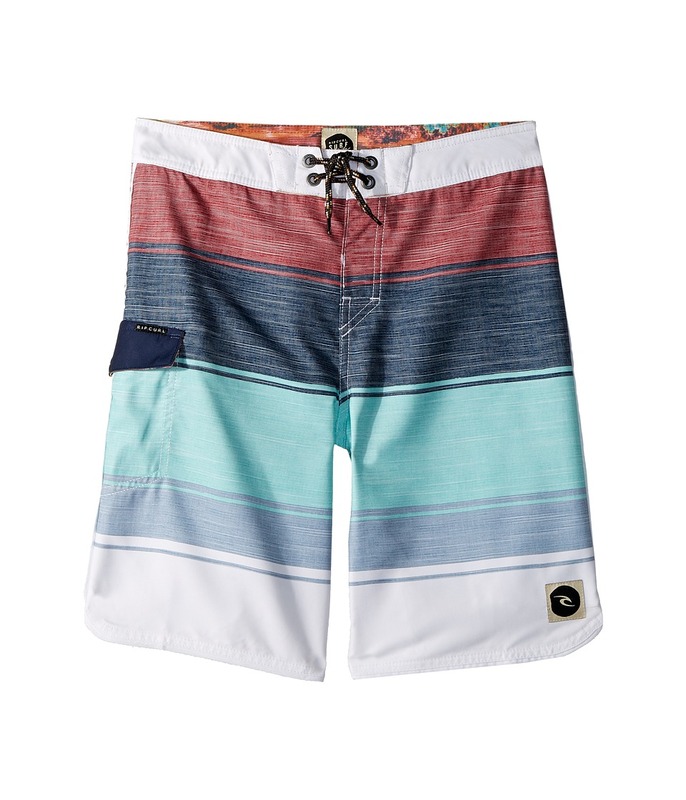 Enjoy the chill look this Rip Curl boardwalk short brings. Chino fit. Quadroflex material stretches with your movement to allow for a wider range of motion and dries quickly for enhanced comfort. Fabric blend sports an allover sublimated plaid texture. Belt loop waist. Zip fly with button closure. Side hand pockets. Button through back pockets. Logo hit at left leg and back. 55 percent cotton, 45 percent polyester. Machine wash cold, hang dry. Imported. Measurements: Waist Measurement: 32 in Outseam: 21 in Inseam: 11 in Front Rise: 12 in Back Rise: 17 in Leg Opening: 19 in Product measurements were taken using size 32, inseam 11. Please note that measurements may vary by size. 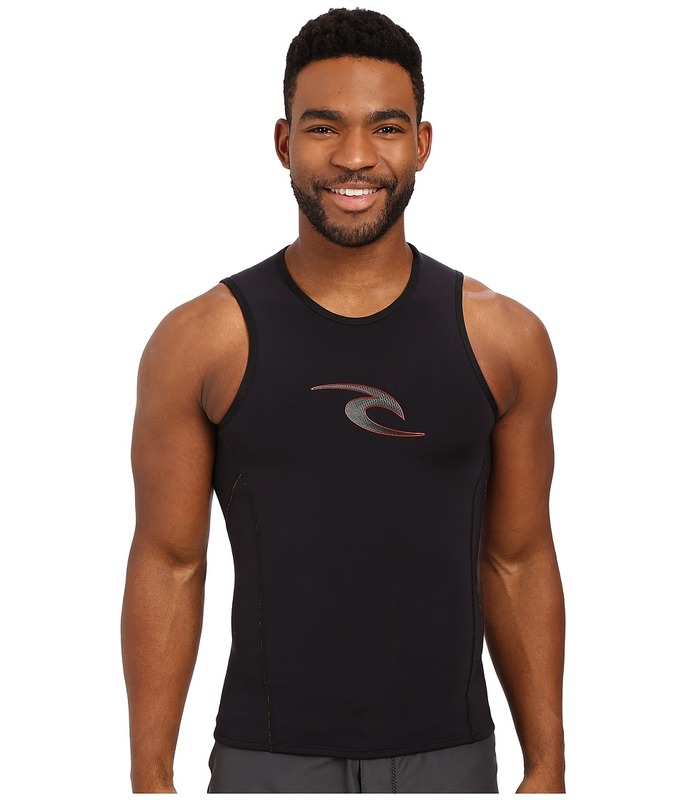 You~ll be a superhero while gliding across the waves in this high-powered surfshirt. Quick-drying, stretch fabric blend provides for a superb wear. UPF 50+ fabrication protects your skin during outdoor activity by blocking harmful Ultraviolet A and Ultraviolet B rays (UVA and UVB). Flatlock seams minimize chafing and irritation. Performance fit. Crew neckline. Cap sleeves. Brand markings at front and shoulders. Straight hemline. 90 percent polyester, 10 percent spandex. Rinse with cold water, line dry in the shade. Imported. Measurements: Length: 25 in Product measurements were taken using size SM. Please note that measurements may vary by size. If you~re not fully satisfied with your purchase, you are welcome to return any unworn and unwashed items with tags intact and original packaging included. 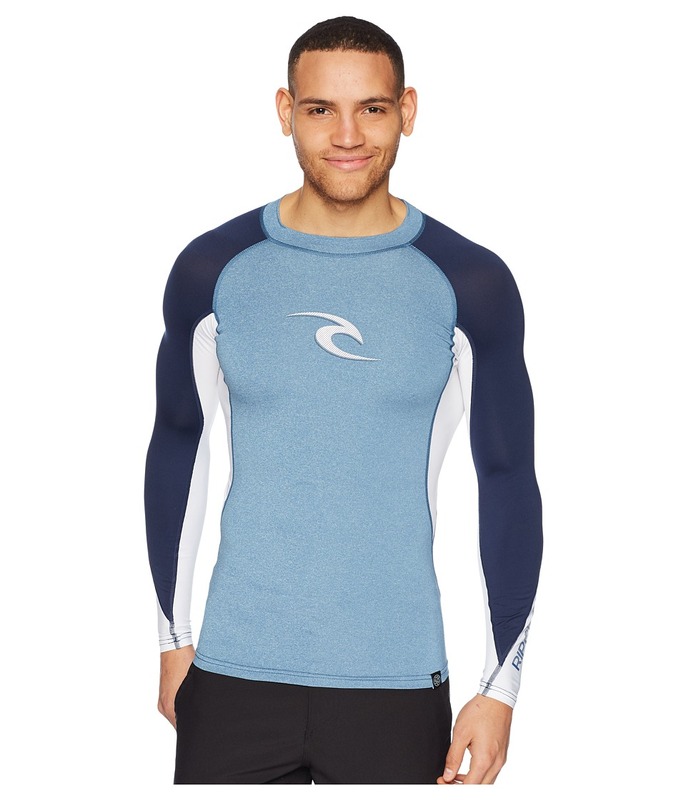 Be cool and don~t wipe out with the Wave Long Sleeve Rashguard. Stretch material with quick-drying properties ensures that you stay comfortable. UPF 50+ UV protection to shield you from the sun~s harmful rays. Ergonomic seam placement for a better fit. Crew neck. Long sleeves. Brand logo graphics throughout. Straight hem. 90 percent polyester, 10 percent spandex. Machine wash cold, tumble dry low. Imported. Measurements: Length: 27 in Product measurements were taken using size MD. Please note that measurements may vary by size. If you~re not fully satisfied with your purchase, you are welcome to return any unworn and unwashed items with tags intact and original packaging included. You really shouldn~t aim to wipe out, but if you~ve just gotta, make sure you~re looking cool in the Wave Short Sleeve Rashguard. Stretch material with quick-drying properties ensures that you stay comfortable. UPF 50+ UV protection to shield you from the sun~s harmful rays. Ergonomic seam placement for a better fit. Crew neck. Elbow-length short sleeves. Brand logo graphics throughout. Straight hem. 90 percent polyester, 10 percent polyester. Machine wash cold, tumble dry low. Imported. Measurements: Length: 27 in Product measurements were taken using size MD. Please note that measurements may vary by size. If you~re not fully satisfied with your purchase, you are welcome to return any unworn and unwashed items with tags intact and original packaging included. Blow up the surf scene in the Rip Curl Flash Bomb Vest. Premium flash lined neoprene with quick-dry properties allows for added warmth and comfort. Flatlock stitching reduces chafing. Pullover style. Round neckline. Sleeveless design. Straight hemline. 100 percent neoprene. Rinse clean and hang dry. Imported. Measurements: Length: 24 in Product measurements were taken using size MD. Please note that measurements may vary by size. If you~re not fully satisfied with your purchase, you are welcome to return any unworn and unwashed items with tags intact and original packaging included. You~re ready for day break in the Rip Curl Dawn Patrol Long Sleeve Jacket. A wetsuit jacket that provides some additional coverage to keep the sun at bay and add a little more warmth on cool days. Wetsuit jacket/Ultralight E4 neoprene fabric: &amp#8226 Ultralight E4 neoprene provides for the warm comfort and flexibility you need on the waves. &amp#8226 1.5mm wetsuits are perfect for summer fun. &amp#8226 E-Stitch high stretch seams keep you comfortable and allow for maximum flexibility. Mock collar. Full zip-up front closure. Long raglan sleeves provide a wider range of motion. Straight hemline. Multiple design options. Rip Curl logos at left chest, left sleeve, and back right. 80 percent neoprene, 20 percent polyamide. Hand wash cold, line dry in shade. Imported. Measurements: Length: 21 in Sleeve Length: 25 in Product measurements were taken using size 4. Please note that measurements may vary by size. If you~re not fully satisfied with your purchase, you are welcome to return any unworn and unwashed items with tags intact and original packaging included. Grab your board and ride the barrel. Stretch fabric with quick-drying properties ensures that you stay comfortable. UPF 50+ UV protection to shield you from the sun~s harmful rays. Ergonomic seam placement for a better fit. Round neckline. Long raglan sleeves allow for a better range of motion. Brand logo graphics throughout. Straight hem. 90 percent polyester, 10 percent spandex. Hand wash cold, hang dry. Imported. Measurements: Length: 26 in Sleeve Length: 31 in Product measurements were taken using size MD. Please note that measurements may vary by size. If you~re not fully satisfied with your purchase, you are welcome to return any unworn and unwashed items with tags intact and original packaging included. Quick-drying, stretch material allows you to go crazy on the waves. UV protection to shield you from the sun~s harmful rays. Contoured topstitching throughout. Color blocked design. Crew neck. Short sleeves. Brand markings throughout. Straight hem. 90 percent polyester, 10 percent spandex. Machine wash cold, tumble dry low. Imported. Measurements: Length: 26 in Product measurements were taken using size MD. Please note that measurements may vary by size. If you~re not fully satisfied with your purchase, you are welcome to return any unworn and unwashed items with tags intact and original packaging included. 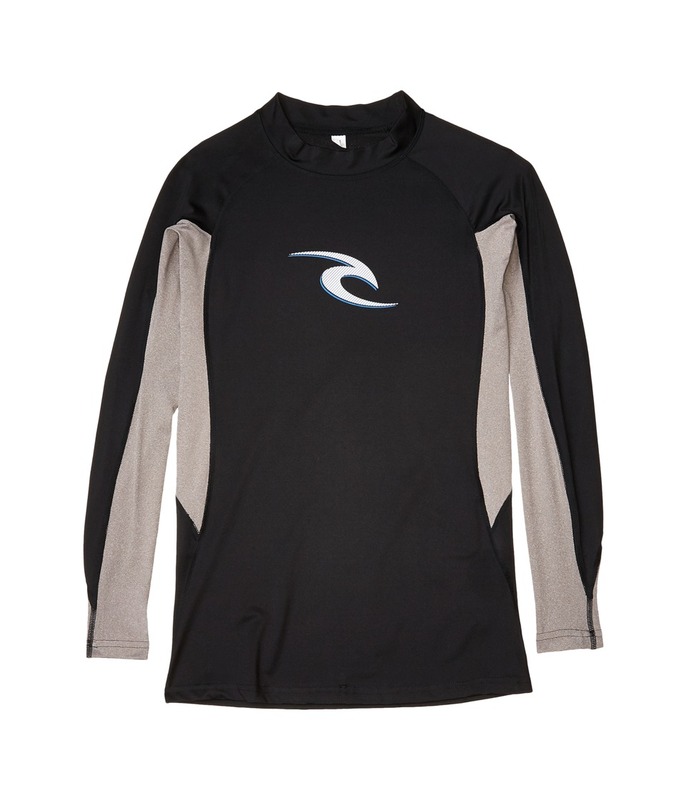 Keep skin protected as you wait for that next big wave in the Rip Curl Dawn Patrol UV long sleeve tee. UPF 30+ UV protection to shield you from the sun~s harmful rays. Performance fit hugs the body. Crew neck. Long sleeves. Straight hemline. 92 percent polyester, 8 percent Spandex. Machine wash cold. Tumble dry low. Imported. Measurements: Length: 26 in Product measurements were taken using size MD. Please note that measurements may vary by size. If you~re not fully satisfied with your purchase, you are welcome to return any unworn and unwashed items with tags intact and original packaging included. 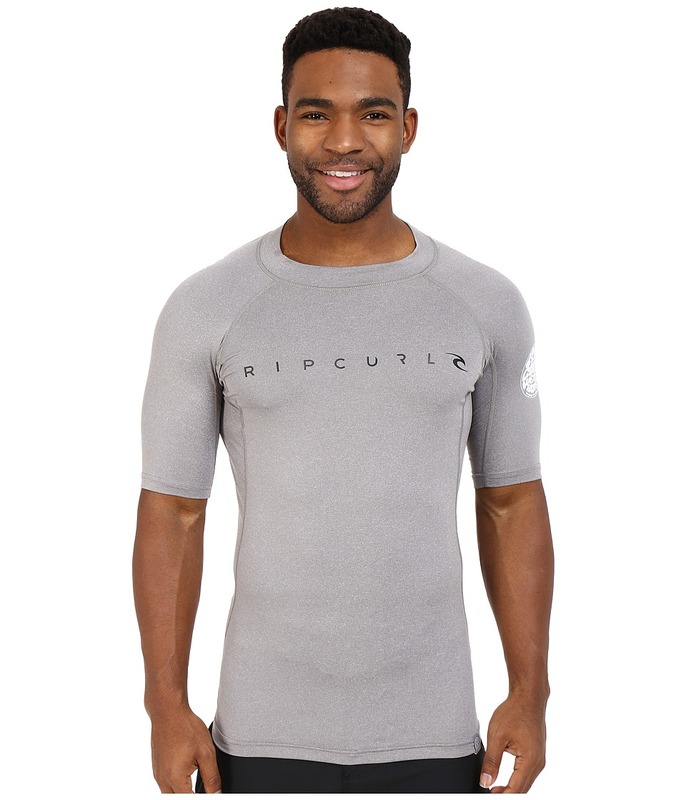 Keep your skin protected as you wait for that next big wave in the Rip Curl Dawn Patrol UV Tee. UPF 30+ UV protection shields you from the sun~s harmful rays. Performance fit hugs the body. Crew neck. Short raglan sleeves hit above the elbow. Straight hemline. 92 percent polyester, 8 percent spandex. Machine wash cold, tumble dry low. Imported. Measurements: Length: 26 in Product measurements were taken using size MD. Please note that measurements may vary by size. If you~re not fully satisfied with your purchase, you are welcome to return any unworn and unwashed items with tags intact and original packaging included. Style comes easy like the ocean breeze in the Dawn Patrol Surf Tee. Lightweight stretch blend features brand text across the chest. Crew neck. Long sleeves with printed graphic at left arm. Straight hem. 92 percent polyester, 8 percent spandex. Machine wash cold, tumble dry low. Imported. Measurements: Length: 30 in Product measurements were taken using size MD. Please note that measurements may vary by size. If you~re not fully satisfied with your purchase, you are welcome to return any unworn and unwashed items with tags intact and original packaging included. Big or small, ride the waves in the Rip Curl Dawn Patrol Surf short sleeve tee. UPF 30+ UV protection to shield you from the sun~s harmful rays. Crew neck. Logo at left chest. Short sleeves. Straight hemline. E-Stitch high stretch seams. 92 percent polyester, 8 percent Spandex. Machine wash cold. Tumble dry low. Imported. Measurements: Length: 29 in Product measurements were taken using size SM. Please note that measurements may vary by size. If you~re not fully satisfied with your purchase, you are welcome to return any unworn and unwashed items with tags intact and original packaging included. 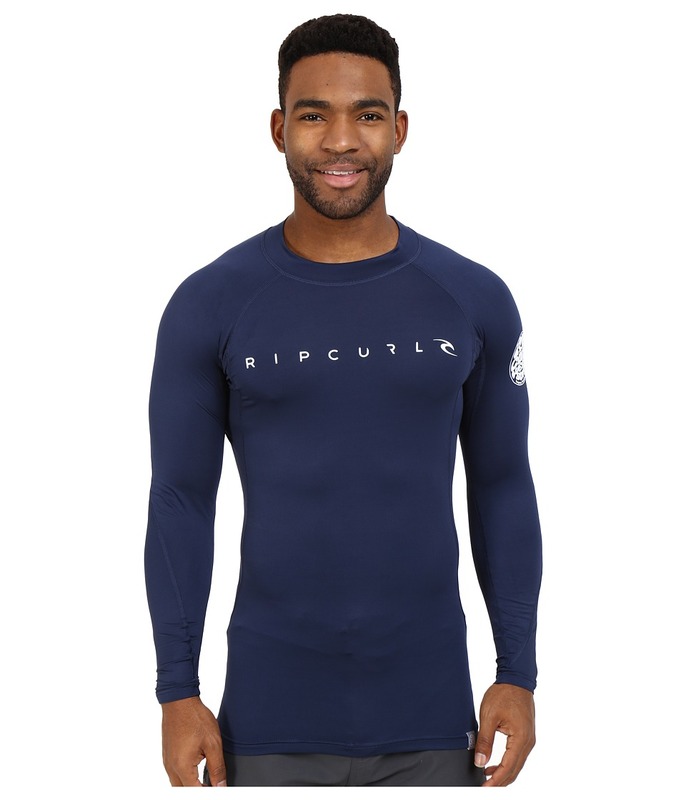 Warm-up after a day in barrel with the Rip Curl Trestles UV Tee Front Zip rashguard. 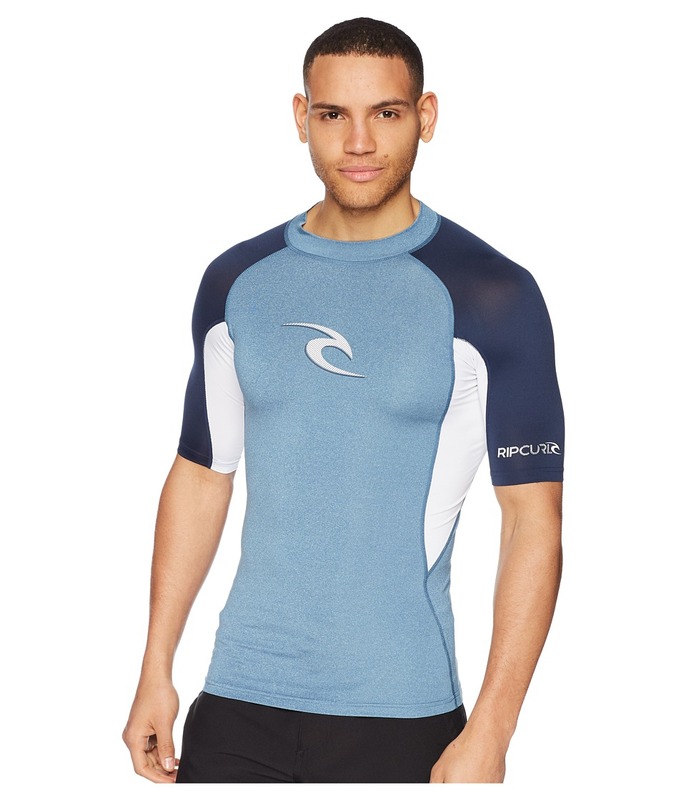 Performance rashguard boasts a slim fit for that next-to-skin feel. Quick-drying, stretch fabric blend features a solid design with contrasting chevron printed panels. UPF 50+ fabrication protects your skin during outdoor activity by blocking harmful Ultraviolet A and Ultraviolet B rays (UVA and UVB). Flatlock seams minimize chafing and irritation. Mock neckline. Full zip-up front for easy dressing. Long raglan sleeves provide a wider range of motion. Straight hemline. 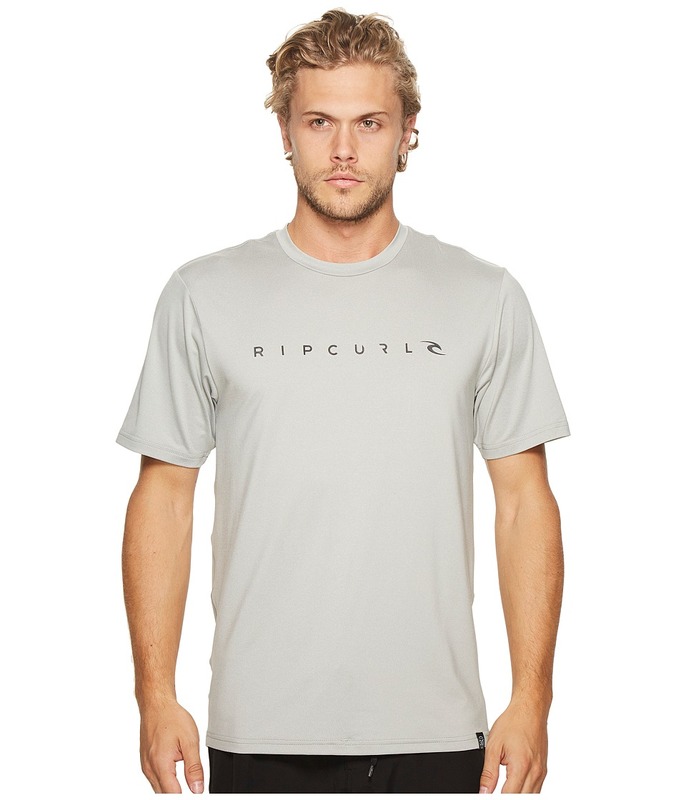 Rip Curl logo screenprint at left shoulder. 90 percent polyester, 10 percent spandex. Rinse in fresh water, line dry. Imported. Measurements: Length: 24 in Product measurements were taken using size SM. Please note that measurements may vary by size. If you~re not fully satisfied with your purchase, you are welcome to return any unworn and unwashed items with tags intact and original packaging included.